Everyone has heard of African Americans. But African Indians? No, I don’t mean the Gujaratis from India who went to Africa as traders, but Africans who migrated to India in the past, and are now as Indian as every Thambi, Devinder and Harish? Well, let me introduce you to the Siddis of Karnataka, who reportedly migrated out of Africa some four hundred years ago. The Wall Street Journal has a photo story of this tribe, who though African in looks, are Indian in language, religion, and pretty much everything else you can think of. So — how good is it? The text and photos are outstanding. The original iPad was a marvel. We loved it and continue to use it heavily in the family. But, when we put the two side by side, one can clearly see the immense difference in clarity when it comes to text, fonts, and pictures. The previous iterations of the iPad look bad only by comparison against the new iPad — the older models can hold their own against any other tablet currently on sale. Should you buy the new iPad? Yes — its not something you’ll ever need but its one heck of a toy for young and old alike. One man told Jacobs that he used the books not just for knowledge, but as weights for rehabbing a hurt wrist. “You can’t do that with Wikipedia,” Jacobs says. According to Pranab Mukherji, Indian finance minister, India has been the top international investor in the UK for three years in a row. I am sure Mr. Mukherji is thrilled at the apparent reversal of roles between formal colonial master and underling. Doubtless many Indians are delighted for the same reason. But, let’s think for a moment here. India is a land of significant wants — poor roads, electricity, water, drainage and education. Countless numbers of people are unemployed and under-employed. Could our capital not be put to use in India? With so much pent-up demand for the necessities of civilization, could the money not have been put to use within one’s own country? The flight of capital, sadly, is commentary that Indian investors see better opportunities to make money in the UK than they do in India. With all the political capriciousness, lawlessness (e.g. the Maruti strike), and such, one cannot blame someone for wanting to invest money where the investment is (a) safe, and (b) will earn some predictable return. As but one example of why investors would feel unsafe in India, consider Vodafone’s example. Vodafone bought a controlling stake in a wireless company in India from a Hong-Kong based company. This was accomplished through the transfer of an offshore holding company. The Indian government slapped a huge tax on the transaction, claiming that the underlying asset being transferred was in India, and thus subject to taxation under Indian laws. Vodafone fought its way to the Supreme Court of India, where it won its case, fair and square (in front of Indian justices, I might add). What does the Indian government do? It proposes to change the law with retroactive effect. Whoever said there was no time travel just has to meet Mr. Mukherji. Move over Stephen Hawking, the next scientific genius is our very own Pranabda. Let us not be proud of India’s investments in its former colonial master. Rather, it is sad, perhaps even shameful that India herself did not provide stable and safe opportunities for the money to be put to good use. As Stephen R. Covey cites as an example in The Seven Habits of Highly Effective People, the key is to always be one step ahead of one’s manager, and anticipate what they will ask for next. And then, to be ready with it. 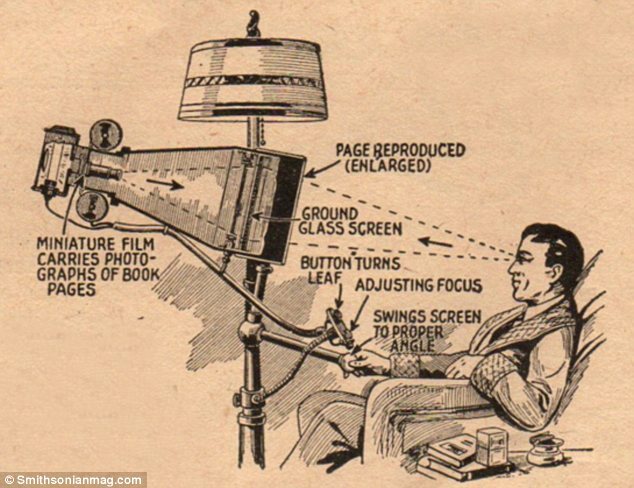 This is what Lord Grantham might have used to read ebooks, back in his day. Saw it in the Daily Mail. What Brings The Greatest Joy? I’ve had a career situation that got me thinking about what brings a person the greatest fulfillment and pleasure. For me, I’ve realized that the greatest fulfillment comes from being useful to others.I’ve felt miserable when my work impacted no one. And, even if a particular project or initiative was wretched, I could look back on it with satisfaction if it helped some set of people in some way. The beauty about the giving of oneself to others is that we can do it no matter what our station in life. The janitor has as much of a chance of being useful to someone else, as does the president of the United States. Whatever our vocation might be, by doing the things we do, we have the potential to improve the lives of our fellow humans, and thereby increase our own sense of self-worth and happiness. Being useful to others does not have to be entirely altruistic. I believe that you can derive as much pleasure and satisfaction fromsellinga product that many millions will use (see Steve Jobs and Bill Gates) as you can fromgiving awaysomething that will benefit many (e.g. Linus Torvalds, initial author of the Linux kernel). Steve Jobs’ best work came after he probably knew that his diagnosis was terminal. In the years since 2003, he led the creation of Apple’s two major blockbusters… the iPhone and iPad. Surely, he did not do this for money, because he knew that he was not long for this world, and the prospects of taking one’s riches into the next are nonexistent. In my reading, he was driven by the desire to create great products that people liked — he got his satisfaction from being useful to others. Indeed, the pioneers of the railroad, the automobile and the plane invented and perfected these things owing to capitalistic motives. Yet, there can be no denying the vast benefits of their work on the populace. The absolute worst situation in life, as I consider it, is being in a position where the work you do matters to no one. Get into the universe of Downton Abbey, and think of Lord Grantham, just after war had broken out, but before his house was converted into a convalescent center. He felt miserable because he was all dressed up but, totally unwanted by those on the front. And this man was an Earl, with servants to wait on him hand and foot, with possessions to match. His malcontent second daughter, Edith, found fulfillment at last in tending to the sick and wounded. You may be in possession of the finest things in the world, but if your existence or lack thereof is immaterial to your fellow humans, you will never find true happiness. Conversely, if you’re feeling low for whatever reason, recall a time when your work impacted others positively. I guarantee that it will lift your spirits. Conventional thinking is that companies compete in the marketplace on the basis of features or price. Most business professors argue that differentiation of product induces greater willingness to pay. The thinking is that economy products are built to a lower feature spec and priced lower, whereas top-of-the-line products are relatively immune from price considerations. The iPad, which had its third release yesterday, defies this conventional thinking. When looked purely from the perspective of features and specifications,the original iPad of two years ago beats virtually every other tablet on the market today. The 3rd generation is yet another game-changer in the marketplace with screen resolution better than HD. However, here’s where Apple’s competitive advantage is virtually unsurmountable — it delivers these goodies for less than the competition. And the competition cannot match it spec-for-spec at the same price. It is not enough to compete on price or features alone. The new competition is based on price and features. Attention paid on the front-end for features has to be matched on the back-end with efficiencies in procurement and delivery. Its just as important that Apple has an exceedingly efficient supply chain that can source parts such as screens, chipsets and batteries cheaper than the competition, as it is important that the product have a gazillion-pixel display and great usability. No manufacturer can afford to play the price-and-spec game as currently structured, where Apple is king. Their only hope lies in changing the rules of the game — coming up with a product that is fundamentally different from the iPad. In the ability to produce a game-changer, I still hold out hope for Microsoft — if they ever get around to coming up with a tablet that’s fully integrated into the enterprise, contains Office, Sharepoint, database access, video conferencing, and performs with reasonable speed. I think there is a lesson for us in services as well. The dichotomy between inexpensive and high-quality is a false one. The service we deliver is just as important as the process we use to deliver it. Consider but one example of an Apple analog in the services world, Narayana Hrudayalaya. If we don’t figure out both sides of the equation — quality/features and cost, someone else will.